Professional Tool Products of Travelers Rest, S.C., is recalling about 5,000 Matco Tools wireless chargers sold in the U.S, and Canada. The firm has received six reports of the chargers overheating, including two reports of burns to consumers’ fingers. This recall involves Matco Tools brand wireless chargers. 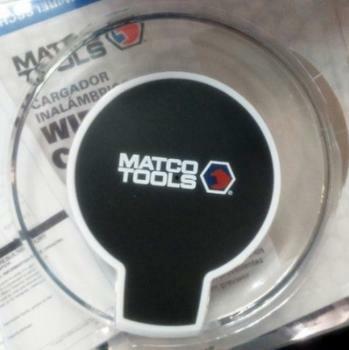 The recalled chargers are round and have “MATCO TOOLS” and the Matco logo printed on a black background in the center. They measure about four inches in diameter and ½ inch in height and were sold with a USB connector cable. The chargers, manufactured in China, were sold exclusively at Matco Tools mobile truck stores nationwide from November 2018, through January 2019, for about $25. Consumers may contact Professional Tool Products toll-free at (866) 496-8423 from 8 a.m. to 5 p.m. (ET) Monday through Friday or online at www.professionaltoolproducts.com and click on “Product Recall” at the top of the page for more information.